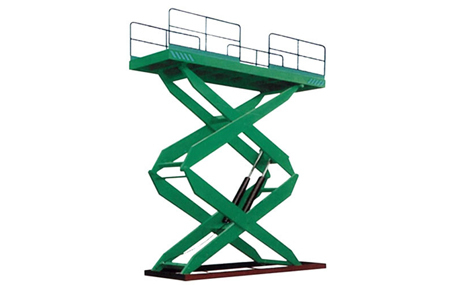 Hydraulic Platforms is device generally used to move Goods / Luggage vertically up for low rise applications / requirements. 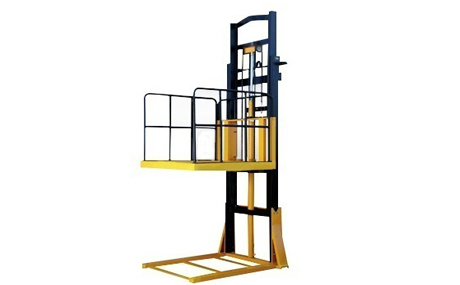 The Loading range of this mode of vertical movement varies form 200 Kgs to 4000 Kgs. 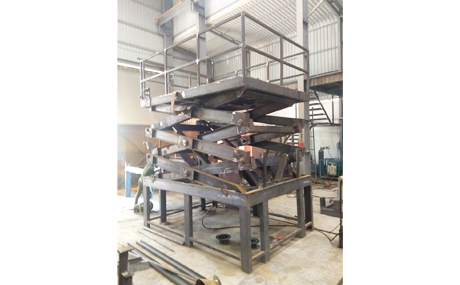 It is comparatively cheaper and faster mode of arriving at the solution. The power is consumed while going in UP direction only while descend is achieved by releasing the valve and no power is used in this operation. 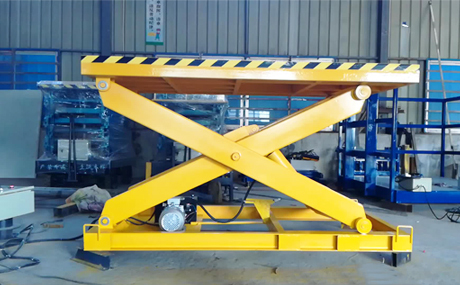 The other reason that this equipment is preferred is, as it allows a fail-safe option of returning the platform to the ground by release of a manual valve. 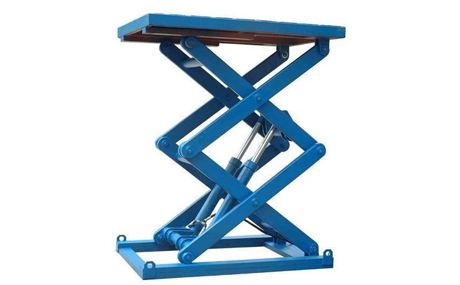 The Scissor Platform uses linked, folding supports in a criss-cross "X" pattern, known as a pantograph ( or scissor mechanism ). 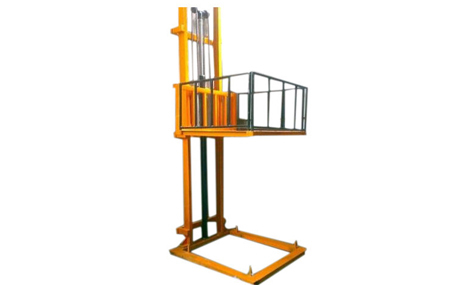 The upward motion is achieved by the application of pressure to the outside of the lowest set of supports, elongating the crossing pattern, and propelling the work platform vertically.